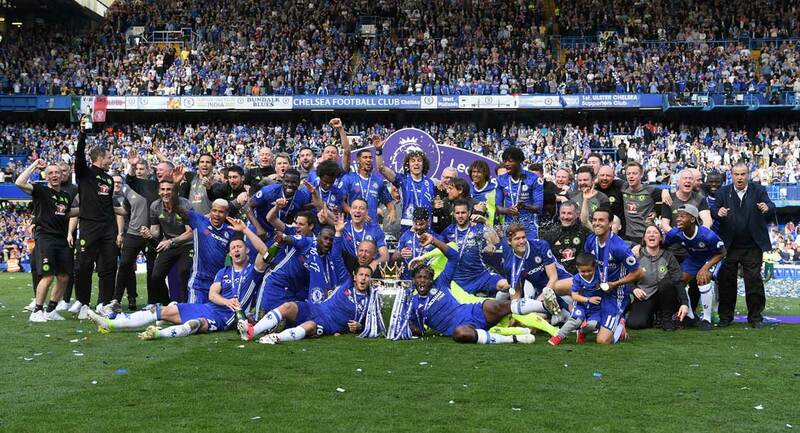 For all the talk about pre-season crises, when it really mattered Chelsea delivered. We harked on all summer that we couldn’t care less about pre-season results and even the Community Shield only held passing interest. August 14th was when it really counted. The result? 6-0, a hat-trick from Drogba and a comprehensive mauling of West Bromwich Albion. Could we have asked for more? Well, yes, according to the newsagent on World’s End Estate. Grabbing our Sunday papers we were asked if we’d enjoyed the match less than 24 hours earlier. “Sure, what’s not to enjoy when you hammer 6 past the opposition?” we replied. The newsagent countered, “Oh, I heard you didn’t play that well.” We stared at Mr Patel with a mixture of incredulity and an Ancelotti-esque raised left eyebrow. What our newsagent was expecting we’re not sure. A mazy run from Cech followed by a lob from the half-way line? A scissors kick from Paulo Ferriera? In CFCnet’s book the very notion of us winning 6-0 and not playing well is as ludicrous as Spain being criticised for losing a game at the World Cup. They won the damn thing. CFCnet hopes that our local newsagent’s passing comment is not a gauge of fans heightened expectations. If so, Carlo and his protégés better start knocking in 7 or 8 allied to some mazy dribbles and a few 40 yarder, net bulging missiles. Following the evening’s Match of the Day, a few people enquired as to why the first half atmosphere sounded a little subdued. The answer can be found by looking skywards. Ten minutes before kick-off, whilst thousands queued up at the turnstiles, the heaven’s opened with a downpour as ferocious as any tropical storm. Soaked to the skin and cold in equal measure, our moods darkened like the blackened clouds as we watched people move slower than a post office queue. One CFCnet staffer pointed out that we used to get into the ground quicker in the 80’s with torn-off vouchers and paper tickets. Fast forward 25 years and we’ve now got RFID chipped season ticket cards and smart readers with flashing lights. The end result is that we get into the ground slower, much slower. Go figure. CFCnet fully expects the Club to introduce state-of-the-art iris scans for all season ticket holders by 2018. God forbid anybody who turns up with cataracts because on yesterday’s evidence all this technology is as useful a chocolate teapot. Once we finally did enter the ground and squeezed the water out of our jeans, we’d point out that with Michael Essien in midfield we look a far more solid outfit. Slightly less creative perhaps, and in the latter stages of the Champions League our lack of a ‘tin opener’ in the form of a Messi may count against us, but nevertheless we look a formidably strong team. Whether Yossi Benayoun will be the creative ‘tin opener’ is yet to be seen but the reception he received was as frosty as a snarling polar bear. 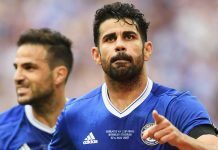 Poor Yossi is a victim of circumstance – firstly by replacing lifelong Chelsea fan and idol Joe Cole; secondly by coming from our most loathed rivals Liverpool; and thirdly by costing us £5 million more than the Scousers paid for Cole who went directly the other way. Whilst we trust Carlo implicitly, Yossi’s going to have to play some blinders before he evens gets a polite handclap. We would point out that if he scores the winner against the Scousers and celebrates by kissing the Chelsea crest, he’ll have entered the pearly gates of fan idolisation. You know what to do Yossi. To sum up, a stunning first day’s opener and a sterling display by the whole team. Even the fans got up for it once we’d dried out. In hearty voice and in great spirits, this is one of the best times in 105 years to be a Chelsea fan. Simply a great day.